Plug and play search solution for websites, mobile applications and enterprise softwares. Use SearchTap to customize, analyze and build an amazingly effective search experience for your users with minimal IT involvement and no infrastructure investment. Speak with a Search expert so we can learn about your unique goals. Thank you for your interest in SearchTap. Our search experts will contact you to schedule a demo shortly! It is a subscription based hosted search solution for websites (eCommerce, Media and Publishing), mobile applications and enterprise softwares. With investments in unrivalled technology and best in class cloud infrastructure, SearchTap helps you build the best search experience for your users and offers world class speed and reliability right from the very the first keystroke. Under the hood, we use advanced predictive analytics and language modeling algorithms to help users find most relevant information within your data. 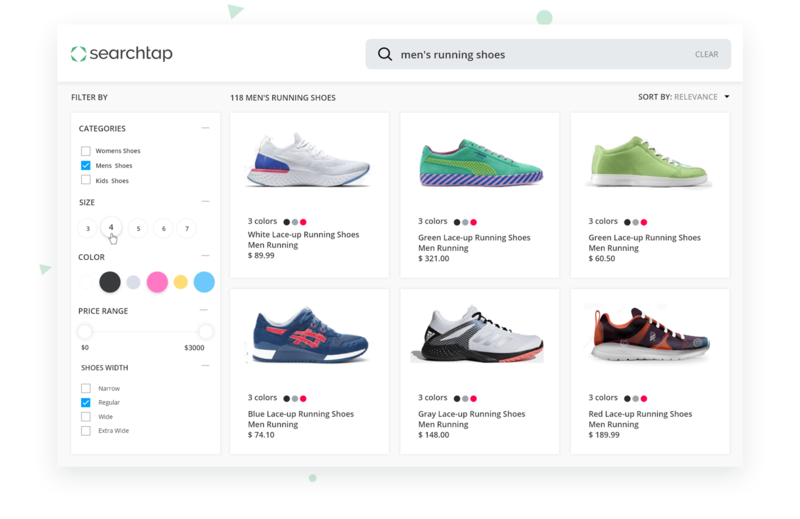 Power packed with features like autocomplete, facets, location based results, multiple language support, relevance customization and much more, SearchTap offers an amazingly powerful search experience. 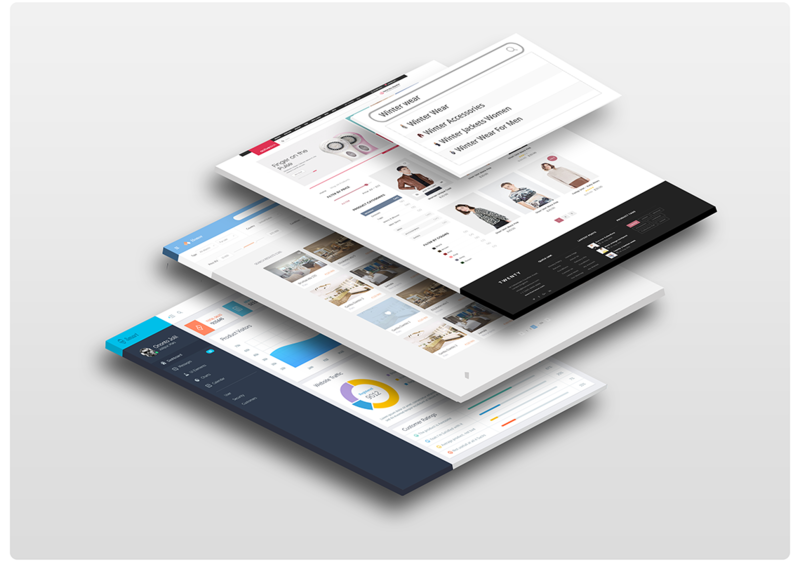 Our search platform also comes with a “All in one” integrated dashboard that weaves user behaviour and search trends history to show you the whole story that lives within your search data. Easy to use & Smarter than you can imagine. Powerful features for you. Superior experience for your visitors. We're impressed with SearchTap for a variety of reasons - it's pretty easy to integrate, and search results are intuitively relevant. Checking search analytics our new favorite pastime. SearchTap does everything you would want from a hosted search solution. I love the auto-complete and adaptive type correction feature. Super easy to use too! We came across SearchTap while redesigning our website. Their hosted search platform was easy and hassle free to integrate. The Instant Search has given great results ever since. Hi there! Want to ask about something? Leave a message.